Germfree Environmental Labs offers a wide range of advanced laboratory platforms to meet the most challenging environmental missions. We design, engineer and manufacture mobile and modular units that are easily deployed to your site. Our Environmental Labs are essential to consultants, program managers, regulators, health & safety professionals and research teams. Our units provide new lab space, added capabilities or extra capacity in a dramatically reduced construction timeline. Air: Our modular and mobile air quality laboratories are equipped for a range of environmental applications including the detection or monitoring of fugitive emissions. Water: We provide customized monitoring facilities with sample preparation, inline sampling suites, weather stations, real time sensors and disinfection systems. These units are ideal for large sanitary and storm water treatment systems. Our wet labs work equally well in mobile platforms and in modular containerized facilities. Soil: Our mobile units allow for rapid analysis used in pilot studies and ongoing assessment projects. These units are ideal for remediation projects where there is a need for onsite sample preparation and testing. Biota: Forward-deployed labs are strategically positioned near study areas. These units dramatically increase efficiency of studies after oil spills or natural disasters. Germfree’s mobile and modular labs are also ideal for large research assessments. Environmental Labs manufactures advanced environmental laboratories into the mobile platform of your choice. We offer Vans, Trucks, Trailers, and Mobile Container Labs to accommodate any requirements for your environmental projects. Germfree’s Mobile Labs are deployed for a range of missions and are suitable for applications in the most demanding environments. We install ruggedized cabinetry to insure that sensitive instruments can be deployed wherever they are needed. These advanced units enhance existing laboratory operations, add new capabilities and provide maximum flexibility. Our mobile units are ideal for operations with multiple locations. Mobile Labs for Water Testing/Monitoring: Our mobile environmental labs bring a practical solution to water resource operations. Water resource managers must monitor programs spread across large regions. A properly equipped mobile environmental lab is a critical asset in rapid onsite sample processing. Further, waste water systems require routine monitoring, making mobile units an ideal choice. Germfree’s mobile labs are able to safely transport sophisticated instruments across rugged environments. Our units are capable of remaining on-site for extended periods of time and need less external infrastructure to operate. 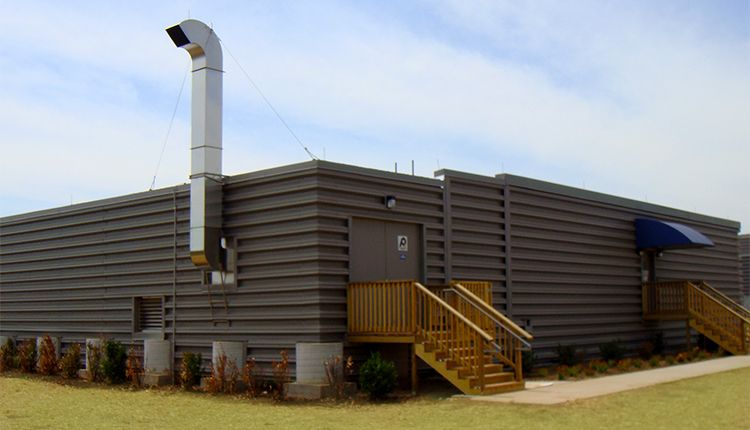 Modular Environmental labs differ from those constructed with traditional modular manufacturing techniques. We use all metal construction and our labs are built with monolithic floors, walls and ceilings to enhance the durability and integrity of the facility. These manufacturing methods make our modular units ideal for the most challenging missions in the harshest of environments. Efficient HVAC Design: Properly engineering the HVAC systems for use with multiple fume hoods within a lab space can be challenging. Lab personnel require flexibility while operating multiple fume hoods. Some hoods are idle while others are active, creating significant fluctuations in the room temperature and pressure. Germfree’s experienced HVAC engineers seamlessly integrate properly designed and sized HVAC equipment and controls. This ensures optimal user comfort, energy efficiency and stable operating temperature and pressure. Please see our full range of Mobile Laboratory Platforms.